In the case of motor vehicles, a chassis is the bottom framework, underpart, or undercarriage of your car. It consists of the frame on which the car’s body is mounted. 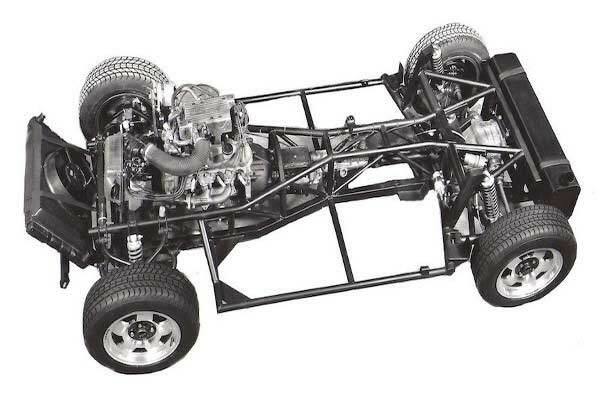 But when you say rolling chassis, it refers to the frame plus all the car’s running gear such as the engine, suspension, differential, transmission, and drive shaft.Now since your chassis houses all the essential components for your car to move and run smoothly, it is but a must to take extra care of them. It also goes without saying that if you want all the running gear and driveline components to last longer, maintaining your auto chassis is really of dire importance. However, in reality, the car’s coachwork or chassis is one of the most overlooked parts when it comes to doing DIY maintenance. Is it because it’s too much of a hassle? Or maybe car owners just prefer leaving it in their trusted mechanic’s hands? Whatever your reason (or excuse) may be for not paying much attention to your car’s backbone and undercarriage, you have to put a stop to it already. Don’t be afraid to go underneath your car. You won’t be able to inspect it thoroughly if you wouldn’t take a good look at the undercarriage, U-joints, and driveline. All you need to do is jack up your car safely and correctly. Check for signs of corrosion. Road salt and snow could easily build up in the undercarriage. So first thing to look for is rust. It is your chassis’ primary enemy. It will weaken and erode your car’s platform. It’s good to see if there’s no rusting. But you will have to wash it regularly and treat with some anti-rust products in order to prevent it from even starting. LUBRICATE! It is the key to really maintaining your auto chassis. When your car’s lubricants dry over time, your vehicle will eventually produce unnecessary and annoying sounds, vibrations, and harshness while driving. If not addressed immediately, in the long run, it will eventually cause the other mechanical parts to wear out easily and fail. Don’t worry as chassis lubricants won’t really cost that much. And the good part is, you can easily turn it into a DIY project at home. It is very important that you know it’s never good to mix different kinds of greases and lubricants. Carefully use a grease gun to lubricate the U-joints, tie-rod ends, ball joints, and other tight spots in the driveline. You may also check your car’s wheel alignment, suspension, and CV boots. These components also affect the health and longevity of your chassis. Though this last tip cannot be done as a DIY task, we also suggest you do this so you could be assured your auto chassis is in tip-top shape. Have it looked at by a professional mechanic or take it to an auto repair shop (especially after winter). Let them do a thorough examination on your chassis to see if it’s properly aligned and still in good condition. As the chassis is like the backbone of your vehicle, it carries all of the weight and is responsible for providing the stability and strength that your car needs to move and operate smoothly for a long time. And now that you know it isn’t really that difficult to actually take care of it, you can now rest on the fact that you (and your car) will get better safety and longevity. Just in case taking care of your auto chassis don’t seem to cut it anymore, and your car still has some serious problems, you might want to consider letting go of it already before it’s too late and gets more and more complicated. If you reckon repairing it will even cost you more than even buying a second hand car, then it’s not worth it. Get fast and free vehicle removal services when you choose Rapid Car Removal. And the great part is? We guarantee you’ll get top cash for your car.